In ARK: Survival Evolved there are various Status Effects that can affect your character in various ways. See an entire list of Status Effects below. HUD Text: Your health and stamina is slowly being drained! Get it off! Other Info: This status effect is applied for 2 second as long as the player and tamed dino stands next to acid cloud generated from a recently deceased Reaper body. Impairs vision and reduce both health and stamina over time. Other Info: When accessing a Bee Hive without Ghillie Armor or a Hazard Suit this effect is applied for 10 seconds. It decreases the speed by a third and health by 10%. HUD Text: You have been stung by BEES! Other Info: This effect is applied for 10 seconds when stung by a Giant Bee. It decreases the speed by a third and health by 2%. HUD Text: You're bleeding! 10% of your Health will be drained! Other Info: This effect is applied by Kentrosaurus and drains Health. HUD Text: You're Blood is Being Drained! 15% of your Stamina is being Drained! Other Info: This effect is applied by Sabertooth Salmon and drains Stamina. HUD Text: Your movement speed is decreased! Other Info: This status effect is inflicted by Reaper King's projectile. Reduces your Movement Speed by 75% for 10 seconds. Other Info: This status occurs after being struck by Trike's ramming ability. Prevents movement for 10 seconds. Other Info: This status effect is inflicted by Cnidaria's and Electrophorus's shock. Prevents you from moving for 10 seconds or mounting on any mountable tamed dinosaurs. Other Info: Caused by fire breath from Dragon and Fire Wyvern, shot by a player's Fire Arrow (Scorched Earth), or by stepping on either Lava from environment or King Titan meteor. Burns away 20-25% of max health over 10 seconds. Other Info: This status occurs when leaving a shield deployed from an M.D.S.M. HUD Text: Reduced damage resistance and damage power! Other Info: This status effect is inflicted by the fear roar of a Yutyrannus. It increases damage taken and decreases damage done by up to 50%. Other Info: This effect is applied for 10 seconds when frozen by an Ice Wyvern. Decreases Movement Speed. Other Info: Becomes active after a Ice Titan or Managarmr freezes the survivor or tames. Prevents movement and must be thawed to escape. HUD Text: You are Gashed! You are losing 5% of your health over time and are slowed! Other Info: Caused by attacks from Giganotosaurus, Allosaurus, Ravager. Removes 1% of your max health per second for 5 seconds. Other Info: This status occurs after either being blown on Gasbags or standing too close to it when it blast upwards. The effect causes the player to be immune to fall damage or disappears the next time the player touches the ground. Other Info: This status occurs after using Parasaur honk ability. Prevents usage of such ability for 120 seconds. Other Info: This status occurs when a Mek is hovering. Causes the heat to rise on the Mek. Other Info: This status occurs after the Pack Leader buff wears out. Prevents Direwolves from howling. HUD Text: A Lamprey is draining your Health, but you are charged. Get it off!!! Other Info: A lamprey is currently attached to you or your creature and is both giving out charge light and immunity to radiation for 300 seconds. Remove it by standing in a fire or pressing e to remove it from your creatures. HUD Text: Your Health and Stamina is slowly being drained! Get it off!!! Other Info: A leech is currently attached to you or your creature. Remove it by standing in a fire or pressing e to remove it from your creatures. HUD Text: You're about to be Zapped! Other Info: Becomes active for 4.5 seconds when a Desert Titan targets the survivor for lightning. After the effect has worn away, an AOE will become present and a few seconds later, lightning will strike. Other Info: This status effect is inflicted by the spore cloud of a Lymantria. It will slow down players and creatures by 90% as well as drain their stamina. Message: You've been poisoned! Your stamina is decreasing! Other Info: This status effect can be caused by the attack of the Meganeura, Titanomyrma, or a Troodon attacking a non human..
HUD Text: You feel really sick! Other Info: Caused by the poop attack of the Chalicotherium and Mesopithecus. Increases Torpidity. The remaining time (in hours:minutes:seconds) is shown in the status element alongside with the amount of experience absorbed and its maximum extra level. Other Info: Becomes active for 10 seconds when a Forest Titan roots the survivor. Prevents movement and dismounts the survivor. Other Info: Becomes active for 50 seconds after exiting the interface of a Scout. Prevents the survivor from mounting creatures. Once the Scout returns to the survivor's inventory either through waiting out the cooldown or calling the Scout back, the effect will wear away. Other Info: This status is inflicted when a Tusoteuthis grabs a Creature or a Human with its tentacles. Inflicts Torpor and prevents escape. 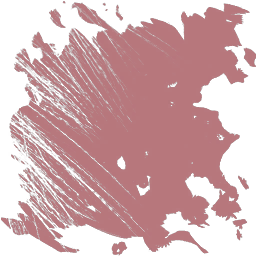 Other Info: This status is inflicted when a Tusoteuthis creates an ink cloud. Prevents the survivor from seeing and slows them down. Other Info: This status effect is inflicted by certain attacks such as Microraptor's and Purlovia's ambush. Prevents you from moving for 10 seconds or mounting on any mountable tamed dinosaurs. Other Info: This status occurs for 4 seconds after an Enforcer performs its shock burst attack. Slows the survivor and creatures down. Other Info: This status effect is inflicted the King Titan. Immobilizes all survivors and Creatures for 5 seconds. Message: Your dino is scared and out of control! HUD Text: Reduced damage resistance and lack of control! Other Info: This status effect is inflicted by the fear roar of a Yutyrannus. It increases damage taken and decreases damage done by up to 50%. Your creature will not respond to commands and run away from the Yutyrannus. Message: You've been tranquilized! You'll start losing torpor, fast! Other Info: This status effect can be caused by the attack of the Pulmonoscorpius, Spider, Beelzebufo, Titanboa, Reaper Queen, Basilisk, or a player's Tranquilizer Arrow. Other Info: This status effect is inflicted by the bite of a Troodon. It rapidly increases your torpidity. HUD Text: Your vision is impaired! Other Info: This status effect can be caused by the spit attack of the Dilophosaur or Plant Species X. Your vision is obscured and your movement speed is reduced by 50% for 10 seconds. Other Info: This status effect is inflicted by the Araneo and Broodmother's web attack. Reduces your Movement Speed by 50% for 10 seconds. HUD Text: You have some protection from bees! Other Info: This status occurs when mounting on Direbear. Prevents Giant Bee from attacking and dismounting survivors on it, and causes them to target it instead when aggravated. Other Info: This status occurs when mounting on a wild Equus. Informs the survivor of the taming effectiveness, additional tame levels, and the taming percentage. Text: USE to feed and soothe the Equus! Other Info: This status occurs when a wild Equus is ready to be fed. Informs the survivor to use food to soothe the Equus. Other Info: This status effect is inflicted to/by a Rock Drake when active. Blends in with the surroundings, making both the dino itself and any survivors sitting on it invisible and preventing aggression from some of the dinos. Does not stop aggravated dinos or Nameless from attacking however. HUD Text: You're within the effects of a Charge radius, protecting you from the Nameless! Other Info: This status occurs on Aberration map by being around Charge Light Dino or objects during night time or at absence of open light. Deters Nameless ambush, but attracts nearby Seekers. This status is also inflicted to both Nameless and Reaper when too close to a charge light source, which removes their natural armor protection and high health regeneration instead. Other Info: This status effect is active when activated by the player/survivor on Megalania, Rock Drake, or Enforcer. Allows climbing on climbable walls simply by walking towards it and wait for a few seconds, but prevents stamina regeneration whilst riding on walls/ceilings. May be worth noting the head of the said dino will look up while this is active. Message: Your dino feels energized. HUD Text: +25% Damage output, and increased resistance! Other Info: This status effect is inflicted by the courage roar of a Yutyrannus. It decreases damage taken by 20% and increases damage done by up to 25%. 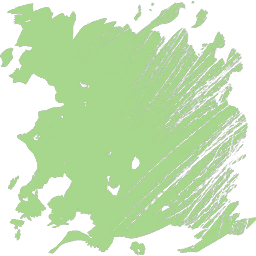 Other Info: This status occurs when the Forest Titan uses its shield attack. Reduces the damage taken. Other Info: This status occurs while activating Snow Owl freeze ability. Protects nearby creatures and itself but prevents them from moving. This also cause massive temperature drop on the rider often resulting in Hypothermia long as this is active. HUD Text: Careful, there are enemy players nearby! Other Info: This status occurs by carrying a Charge Light dino set to active with said effect enabled. Triggered when a non-tribe survivor/tamed creature is/are nearby. Other Info: This status effect is inflicted to nearby dinos by standing next to a recently petted Lystrosaurus. XP will be doubled for a specific time until it requires petting again. Other Info: This status occurs after being frozen by a Managarmr. Prevents the Managarmr from freezing the Creatures or Human a second time. Other Info: This status effect is inflicted to/by a Pachyrhinosaurus when active. Temporarily pacifies surrounding aggressive dinosaur with its Camo cloud. Does not work on large/huge predators and humans however. HUD Text: Your dino's Speed, Health Regeneration, and Damage are boosted! Other Info: This status occurs when stepping (or swimming) on water for Spino. Greatly bolster stats (S indefinitely as long as the Spino is still within the water, and persist for 30 seconds upon leaving the water flooring. Other Info: This status occurs when a Snow Owl encapsulates itself while flying. Once it hits the ground, all creatures in range of its AOE will be Encapsulated. Other Info: This status effect is inflicted by imprinting a creature during breeding and mounting on it after it has fully matured. It decreases damage taken and increases damage done by up to 30% for a 100% imprinted creature. Other Info: This status effect is active when a Megatherium kills an Insect. Increases damage. Other Info: This status occurs when inside a shield deployed from an M.D.S.M. Other Info: This status occurs while riding on a Mek. Other Info: This status effect is inflicted by coming into contact with an allied Liopleurodon. It will decrease your oxygen consumption and changes the contents of nearby drops. Message: Your Daeodon is consuming extra food to heal your allies! HUD Text: Daeodon consumes extra food after a healing attack. Other Info: This status occurs after activating the Daeodon heal. Increases food consumption severely. Other Info: This status occurs while activating Snow Owl ability and riding on it. Turns all vision into infrared, allowing the survivor to see living (and mechanical) creatures and survivors nearby. Other Info: This status occurs when biting/devouring on a corpse with Argentavis. Rapidly recovers health at an alarming rate for a very short period of time. Other Info: This status occurs when a Trike is near large carnivores. Increases the Trike's health by 10%, as well as slightly increasing damage dealt and slightly decreasing damage taken. Other Info: This status is inflicted to a Tusoteuthis when it creates an ink cloud. Provides an opportunity for the Tusoteuthis to flee a battle. Other Info: This status occurs when standing on a Desert Titan. HUD Text: Toggle to Shoot Lasers! Other Info: This status occurs when activating (Ctrl) Tek Saddle's Plasma turret on the head of the dino with the Saddle equipped ( Tapejara, Rex, Mosasaur, Megalodon and Rock Drake all have their own Tek Saddle). The percentage shows how much element is left within the saddle before another is required for uses. Message: You have earned the dinosaurs' trust for a brief period of time! Other Info: This status effect occurs for 60 seconds after recruiting Carnotaurus with a Yutyrannus. Allows the Yutyrannus to command the Carnotaurus. HUD Text: Careful, there are high level creatures nearby! Other Info: This status occurs by carrying a Charge Light dino set to active with said effect enabled. Triggered when a highest-level (150+) Wild Dino is/are nearby. HUD Text: Water decreases much faster as the ambient temperature gets higher. Other Info: This is a Temperature status, and is affected by many different sources, including: Current Air Temp, Heat Sources (like fires), Swimming, Clothing, and Shelter. To withstand 34° C (93° F) heat, at least 124 hyperthermal insulation is required (any armour other than cloth or ghillie reduces the hyperthermal insulation so could be removed if working in a hot environment and no risk of danger. Calien Soup can give 56 hyperthermal insulation for 15 minutes. Message: You're cold. You should find some warmth soon. HUD Text: Food decreases faster as the ambient temperature gets lower. Message: You're freezing! Find some warmth, quickly! HUD Text: Food decreases much faster as the ambient temperature gets lower. Other Info: This is a Temperature status, and is affected by many different sources, including: Current Air Temp, Heat Sources (like fires), Swimming, Clothing, and Shelter. You will also slowly lose health while you are Freezing. Fria Curry can give 56 hypothermal insulation for 15 minutes. When equipping a piece of armour the hypothermal and hyperthermal insulation value is slightly increased (approx. 1.15x stated value). Message: You're hot. You should find some place to cool down soon. HUD Text: Water decreases faster as the ambient temperature gets higher. Other Info: This status occurs on the Scorched Earth and Ragnarok map by being overheated for too long without resolving the issue. As heatstroke progresses, you will eventually (50%) be prevented from sprinting and (~80%) start to have cloudy vision and drunken swaying movement. A Tent can help to temporarily spare you from the heat and an Iced Water Jar can remove the effect. Message: Go inside and protect yourself from the Sandstorm! Other Info: This status occurs on the Scorched Earth and Ragnarok map by being outside within any part of desert while in a Sandstorm. It will severely limit your visibility, as well as prevent sprinting and drain stamina and slowly add sand into your inventory. Anything you may be riding is also prevented from sprinting and loses stamina. Entering a Tent or going indoors will protect you from the sand and stamina drain. Wearing the Desert Goggles and Hat will save your visibility. Message: Get underground, as its hot out there! Other Info: This status occurs on the Scorched Earth map by being above the map during a SuperHeat. Hiding under the caves prevents this effect from severely affecting you, but caves bear aggressive dinos. If it's a must to stay outside during this weather event, ensure to watch your water as you will most likely be overheated. This is the only weather event where Phoenix will spawn in the Scorched Earth Map; it will not be around outside of this weather event. Other Info: This status occurs only on the Ragnarok map by being outside of the desert region while in a Sandstorm. Does not visually affect you unlike Sandstorm, but entering the desert region triggers Sandstorm debuff. Refrain from entering desert region during a Sand storm. If it is a must, quickly reach to the nearest indoor and wait for the weather to subside. Other Info: This status effect is inflicted to a Megalosaurus when woken up during daytime. It decreases movement speed and increases stamina consumption. Other Info: This status effect is inflicted to a Megalosaurus if awake too long during daytime. It increases torpidity while decreasing stamina and food. HUD Text: You are choking on poisonous spores! HUD Text: Applied damage over time. Other Info: This Status Effect is applied when you attempt to pick up a Congealed Gas Ball off Gas Vein or standing close to it when the vein is releasing gas without a complete Hazard Suit protection. Loses health over time, and also immediately apply "Suffocating" debuff. Other Info: This status occurs on Aberration map by being around radioactive parts of the map, and constantly damaging the whole Hazard Suit or Tek Armor if worn at 1-3 per second. Neither wearing it whole nor having a Lamprey attached on while venturing into radiation zones will contract Radiation Sickness. Can also be counteracted with Mushroom Brew(Only usable on tames). Message: The sun is scorching you! Get underground! Other Info: This status occurs on the Aberration map by being on the surface during the day time. It drastically reduces health, leading to nearly instant death. Stay away from the surface during daytime, and only head out during night time. There is no method of avoiding this debuff during daytime, and if you are at surface and dawn is breaking, immediately hightail out of the surface and back underground. Other Info: Becomes active for 20 seconds after being launched into the air by a Geyser. Message: Your implant is unstable, turn back now! Other Info: This status occurs after entering a killzone on Extinction. It causes the player to lose enough health to die and the screen becomes blurry in a similar manner to Heat Stroke. Message: Harsh conditions cause increased food consumption in the Wasteland. Other Info: This Status Effect is applied when the survivor enter the Wasteland. Food gauge decreases more rapidly, forcing them to eat more food whilst within the environment. Message: The water is toxic! HUD Text: The water is toxic! Other Info: Becomes active for 4 seconds after entering a Sulfur Pool on Extinction. Causes the player to constantly lose Health until they have left the Sulfur Pool. Other Info: Becomes active when creative mode is activated. Enables all items to be crafted in the Inventory, flying, and infinite stats. Other Info: Becomes active when in a house. It gives a buff of +112 hypo and +56 hyperthermic insulation. Other Info: Grants you a healing over time for 60 seconds after entering a hot spring. You are visually steaming while the Buff lasts. this Buff can only be found on Ragnarok. Other Info: This status occurs when a Human or Creature has been snared by a Bola. Prevents movement for 30 seconds on Humans and 20 second on Creatures and forces Humans to Prone. HUD Text: Can't jump, can't run, and movement speed is slower. Other Info: Applied to players while crafting. Will not effect a mount if the player is crafting while mounted. See the Crafting Page for more information. This now shows the item the player is crafting rather than this image. Message: You're dehydrated! Find something to drink, fast! HUD Text: Stamina doesn't regenerate, Health decreases over time, Torpditiy increases over time, Torpidity increases faster. Other Info: You will slowly start to lose health, leading to eventual death unless you drink water. You lose ~1hp/5secs. Message: You're encumbered! Drop some inventory weight in order to move again! HUD Text: Can't run and can't jump. Other Info: When mounted, remember that your weight is added to your mount's total weight limit; dropping items from your personal inventory will reduce weight for both you and the mount. This status appears when you are carrying at least 85% of your weight stat. Move speed begins to drop slightly before this status appears (e.g. at 75% weight, your speed is reduced to ~75%). HUD Text: Can't add in anymore items into inventory. Other Info: When inventory is fully filled up, this icon will appear on status bar, on portrait (for dinos), and on upper left inventory panel. Freeing at least one item slot removes this effect. It is worth to note that Survivor's status icon for it is two times larger than any other status effect (dino's icon remains the same as any other status effect icon). Message: You're injured! Recover some health in order to move properly again. HUD Text: Can't jump, run, recover stamina, slower movement, and Torpidity increases faster. Other Info: This effect is applied to players when their health falls below 30. Message: Insufficient stamina to continue attack. Other Info: If a Velonasaur is Winded and continues to use a projectile attack, this debuff will become active for 5 seconds, preventing the Velonasaur from using any projectile attacks. Message: You can't move, but Water and Food decrease more slowly, and Torpidity decreases rapidly. HUD Text: You're knocked out! Wait for your Torpidity to reduce in order to wake back up. Other Info: You can't move, open your inventory, or use any items. You will be able to faintly see what is happening in front of you. This can't be seen as every icon save for your own health/water/food/torpidity/weight vanishes while you are unconscious. If you wake up fast, you may see the message, but the icon immediately vanish once you wake up. Message: You're starving! Find something to eat, fast! HUD Text: Health decreases over time, Torpidity increases over time, Torpidity increases faster. Other Info: You will slowly start to lose health, leading to eventual death unless you eat Food. You lose ~1hp/5secs. Message: You're suffocating! Get some air, immediately! HUD Text: Health decreases rapidly over time. Other Info: You are out of oxygen. If you do not get oxygen in a small matter of time you will die. Message: You're tired! Stop moving for a moment to regain your Stamina! Other Info: This effect is applied to players/ridden dino who have no remaining Stamina. Attacking while Exhausted will raise the Torpidity and potentially knock you or your riding dino unconscious. Other Info: Once a Golden Hesperornis Egg is consumed, an additional +10% XP will be received for all actions. Other Info: Once an Explorer Note has been found, XP will be doubled for a specific time. The remaining time (in seconds) is shown in the status element. HUD Text: Protects the wearer against various airborn poisons. Other Info: This status occurs after equipping a Gas Mask. Protects the survivor against gases in the Swamp Cave and from Poison Grenade. Other Info: You get this effect when wearing a full Hazard Suit, keeping you immune to Radiation and floating spores at certain parts of Aberration, but does not protect from Swamp Gas. Other Info: This status occurs when riding a Basilosaurus. Increases hyperthermic and hypothermic insulation. HUD Text: Effortlessly see in the dark, beware bright light sources! Other Info: This status occurs after equipping Night Vision Goggles. Increases visibility in the dark. Other Info: Once a survivor poops in a Toilet, an additional +33% XP will be received for all actions. HUD Text: Your speed on land is slowed, but is increased when swimming! Other Info: This status occurs when equipped with SCUBA Flippers. Allows the survivor to swim faster while slowing speed on land. HUD Text: Obscures your field of vision, but helps you see underwater! Other Info: This status occurs when equipped with SCUBA Mask. Allows the survivor to see underwater while obscuring the FoV. HUD Text: You gain Oxygen when submerged from the SCUBA Tank, while depleting its durability! Other Info: This status occurs when equipped with a SCUBA Tank. Provides the survivor with unlimited Oxygen while depleting the durability of the SCUBA Tank. Other Info: Once a Special Explorer Note has been found, XP will be quadrupled for a specific time. HUD Text: You are recovering vitals and XP! Other Info: You get this effect when sleeping in a powered Tek Sleeping Pod. Regenerates health rapidly, and Experience at 1 per second, even when offline. Other Info: This status occurs when equipped with a full set of powered Tek Armor. Provides the survivor with hypothermic and hyperthermic insulation, and keeping them immune to Radiation and floating spores at certain parts of Aberration. Other Info: You get this effect when on a zip line with Zip-Line Motor Attachment attached to the worn leg-slot armor piece. The percentage shows how much gas is left within the attachment before another gasoline is required for moving across zip lines. HUD Text: Causes Cryo Sickness to dinos summoned. Other Info: Becomes active for 300 seconds after throwing out a Cryopod. Any dinos summoned during the duration of the Cryo Cooldown will have Cryo Sickness, which results in them being unconscious for a long time. Constantly using it will further prolong their unconscious state. HUD Text: You have been blinded and your ears are ringing! Other Info: This Status Effect is applied if Plant Species Z Fruit is thrown and exploded within your vicinity, and will knock you off the mount when the effect is applied to them. This also applies "Charged!" debuff towards Nameless and any Reapers for at least a second. Message: You ate raw or rotten food! Your Health is decreasing slightly from it. HUD Text: You are losing Health due to bad food! Other Info: Instead of eating raw meat, cook it first, it doesn't only remove your food poisoning, but it also increases the amount of food you get from eating it! If you eat multiple raw or rotted meat the effect duration increases. One piece of raw meat will apply 5 points of damage and give 10 food. One piece of cooked meat will heal 5 points of health and give 20 food. Other Info: This debuff is inflicted after eating a Rare Mushroom. It will lower your visibility for 10 seconds. HUD Text: Stews have no effect. Reduced water, insulation, and stamina, decreased damage and resistance. Other Info: This buff is given from the aftereffects of buff "Buzzed" after consuming a Beer Jar. Reduces Insulation, damage and resistance with reduced water consumption. Stamina does not regenerate during this effect, and Stews do not give any buff effect. HUD Text: Provokes aggression from nearby dinosaurs. Other Info: This debuff is inflicted after being shot by a Pheromone Dart or by attacking a Ammonite. It causes nearby creatures to attack you, regardless of that creature's usual aggression level. Other Info: This debuff is inflicted after eating a Rare Flower. It causes nearby creatures to attack you, regardless of that creature's usual aggression level. HUD Text: Massive boost to melee damage and runspeed, and stamina regen. Consuming extra food and water, and losing health. Other Info: This buff is given after eating a Battle Tartare. Increase melee damage by 60%, movement speed by 50%, damage resistance by 15% and increased stamina regeneration for 180 seconds, at the cost of increased food and water consumption by 50% and a constant health loss of 0.45 per seconds. Negated with Enduro Stew buff effect. HUD Text: You are currently gaining bonus exp! 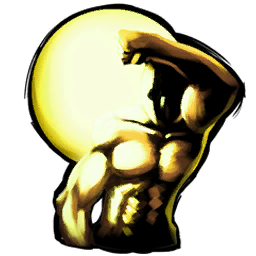 Other Info: This buff is given after eating a Broth of Enlightenment. You gain 50% more Experience for 20 minutes. HUD Text: Extra insulation, reduced water consumption, reduced stamina, increased damage and resistance. Other Info: This buff is given after consuming a Beer Jar. Increased Insulation, damage and resistance with reduced water consumption, at the cost of constantly losing stamina. Moreover, brown bubble starts appearing out of the survivor. HUD Text: You feel less thirsty, and better able to beat the heat! Other Info: This buff is given after eating a Cactus Broth. Reduces water consumption and partially hide from wild aggressive dino for 600 seconds. Other Info: This buff is given after eating a Calien Soup. Increase Hyperthermal insulation by 50 and reduces water consumption by 25% for 900 seconds. HUD Text: You are regaining Food! Other Info: This appears after eating while your food meter is refilling. Other Info: This buff is given after eating a Enduro Stew. Regenerate 1.2 addition health per second for 900 seconds. Negated with Battle Tartare buff effect. Other Info: This buff is given after eating a Focal Chili. Improve movement speed by 25% and crafting speed by 100% for 900 seconds. Other Info: This buff is given after eating a Fria Curry. Increase Hypothermal insulation by 50 and reduces food consumption by 25% for 900 seconds. HUD Text: You're regaining Health! Other Info: Your health is regaining due to a consumable item. You naturally regain health slowly (less than 0.5 per second), but this status is significantly faster. HUD Text: Cooling you down! Other Info: This buff is given after consuming an Iced Water Jar or Iced Canteen. Your Hyperthermal insulation is increased by 84 and your Hypothermal insulation is decreased by the same amount. HUD Text: Well-protected against cold temperatures, & immune to contracting certain Lesser Diseases! Other Info: This buff is given after consuming Wyvern Milk. Your Hypothermal insulation is increased by 787, and you are immune to contracting Diseases. It also makes you immune to the damage-over-time from the Enflamed debuff given from fire breath attacks (but not from lava); you still take damage from the impact of such attacks though. Other Info: This buff is given after eating a Lazarus Chowder. Increases stamina recovery and reduces oxygen consumption for 600 seconds. HUD Text: You're temporarily immune to contracting certain Lesser Diseases! HUD Text: An effective anti-radiation solution for home and hearth. Other Info: This buff is given after force-feeding a dino with a Mushroom Brew . Gives temporary protection from Radiation Sickness for 300 seconds. Other Info: This status effect is inflicted when eating Ascerbic Mushroom. Effect stacks with each consumption. Renders user immune to Fertile Spores debuff. (or reduce countdown if already in effect). (or reduce countdown if already in effect). Other Info: This status effect is inflicted when eating Aquatic Mushroom. Effect stacks with each consumption. Renders user immune to Freezing Spores debuff. HUD Text: The smell reminds you of deep caves and death. Perhaps their young find it soothing. Other Info: This status effect is inflicted when consuming Reaper Pheromone Gland . Effect stacks with each consumption. This makes it so Reaper offspring does not attack the player or creature ingesting it. HUD Text: Improved night-vision, insulation, and steady aim. Other Info: This buff is given after eating a Shadow Steak Saute. Increase Hypothermal and Hyperthermal insulation by 50, reduce weapon recoil by 80% and allows better vision in dark for 180 seconds. Other Info: This status effect is inflicted for 24 hours when a Creature is fed Festive Dino Candy or Valentines Dino Candy. Effect changes the Creature's color and increases their Movement Speed. This page was last edited on 23 March 2019, at 23:36.